"Monarch Butterflies Address Labels" product is already in your cart. 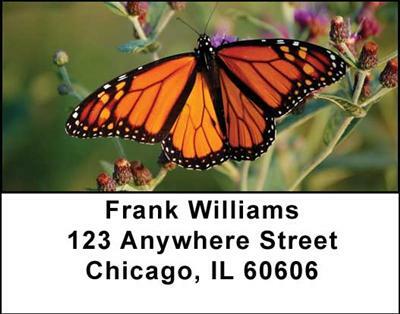 You don't have to be a butterfly collector to enjoy these beautiful Monarch Butterflies Address Labels that showcase these stunning insects in all their glory. The four different portraits display the intricacy of the elaborate patterns of these gorgeous butterflies with their gold and black coloring that makes such a wonderful impression when you see them flitting through the air. Shown against branches and flowers these are a lovely way to enjoy nature at your leisure without even having to go outdoors and these Monarch Butterflies Address Labels will entertain everyone who sees them.